Small is beautiful, and when it comes to Barcelona’s dance scene, Macarena fits the bill perfectly. A hundred or so people, Funktion-One sound, a DJ booth next to the dancefloor… and they make a killer mojito. The music policy is all-important too, and you can catch established names in intimate surroundings. There are also plenty of opportunities for international talent, and Cercle every Sunday features DJs from Barcelona and around Spain as well as invited international guests. 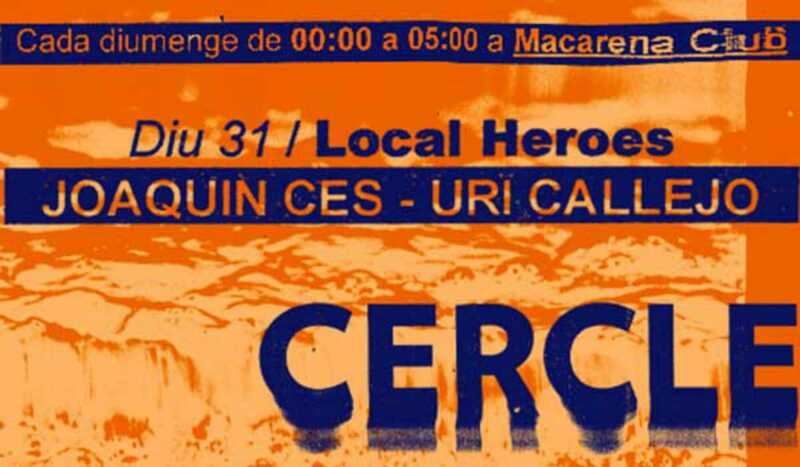 On May 31st, it’s local heroes on the deck with Joaquín Ces, Uri Callejo and Cercle resident DJ and “curator” Guim Lebowski.